Chicken Chow Mein is one of the Globes favorite stir fried noodle dish of all time! And let’s be honest there are hundreds of perfectly delicious Asian noodle dishes to choose from, like our delicious Malaysian Char Kway Teow, so it is high accolade that the Chicken Chow Mein is such a worldwide sensation. Why Do I Love This Chicken Chow Mein? It is highly versatile – Literally you can toss any kind of vegetables and types of protein into it. Which Noodles Should You Use For Chicken Chow Mein? There are so many types of noodles available, so does it matter which you use? Absolutely Yes! 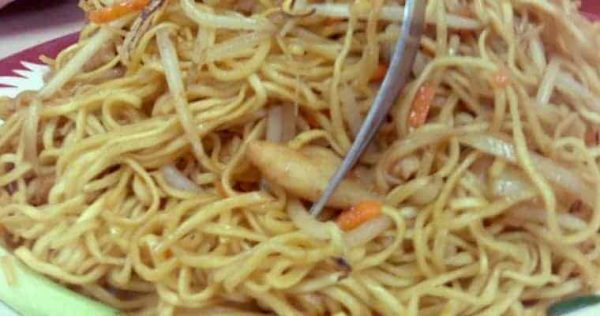 One of the distinguishing characteristics of the chow mein noodle is the fact that they are crinkly and dry to the touch. They are not slippery or oily like many other fresh noodles. 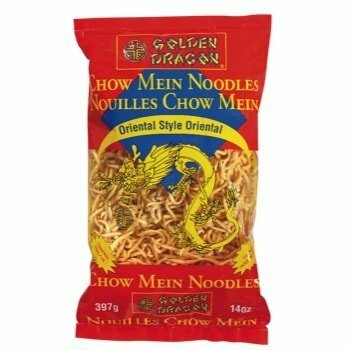 Nowadays Chow Mein noodles are sold in most major supermarkets. However Chicken Chow Mein can be made with other dried or fresh noodles if you can’t find the real thing. However you probably can’t strictly call it Chow Mein. It will still be delicious. Chow Mein is probably the most universally popular of the “Chinese Takeaway” recipes ever! And there are literally countless variations. Throughout mainland China the Chow Mein is regional with each area having their own distinct flavors and certain ingredients. While I hope you will follow and enjoy this recipe as it…. (joke) you can literally swap out the veges for your preferences and do the same with the protein. Just try not to alter the ratios – otherwise you may end up with a bland dish! The vegetables in true Chinese Chicken Chow Mein in China are shredded cabbage, carrots, bean sprouts and shallots/onions. But of course feel free to add your own touches, using whatever greens are in season. Chinese vegetables such as Bok Choy, Pak Choy, Chinese Broccoli go particularly well with this dish. Now you can make Chicken Chow Mein that tastes as good as your favorite Chinese restaurant. It is all about the sauce! Contrary to some other recipes Chicken Chow Mein sauce is way more than just soy sauce and sugar! Make The Sauce. Mix together cornflour and soy sauce, then mix in remaining ingredients. Pour 1 tbsp of Chow Mein Sauce over the chicken and set aside to marinate for 10 minutes. Add the cabbage, carrot, and the white pieces of shallots/scallions i.e. from the base of the stalk. Stir fry for 1 - 1 1/2 minutes until the cabbage is just starting to wilt and the chicken is cooked through. Add bean sprouts and remaining shallots/scallions. Stir through quickly then remove from heat. Velveting the chicken with the baking soda makes it soft and tender like you get in Chinese restaurants. It breaks down the fibers in the chicken. NUTRITION is for 2 servings which are big! You could probably serve 3 people.... but hey..it's a treat!